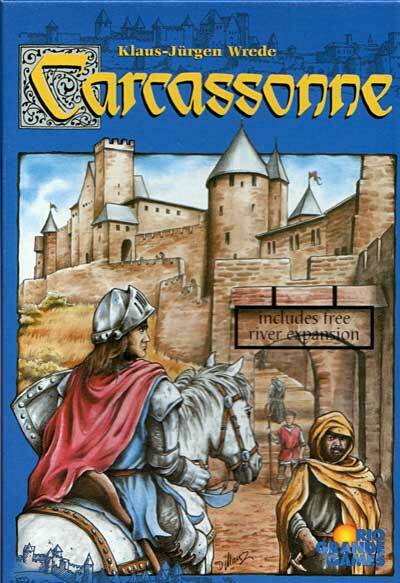 And no it’s not Angry Birds, it’s Carcassonne! Doesn’t ring a bell? Yeah it didn’t for me either until Cyclops got way into board games. This is how he discovered Carcassonne but it wasn’t until he downloaded the iPhone version that I got sucked in. He trapped me into the game by preying on my boredom while waiting in line at various places; Disneyland, Comic Con and at the movies (not during, just in line before). Here is the general overview of the game. It’s tile based and your game is dictated by both luck and skill. During your turn you must take the randomly selected tile and place it on the board in a way to gain the maximum amount of points. You score points by building/claiming roads, cities, cloisters and fields in a medieval setting. 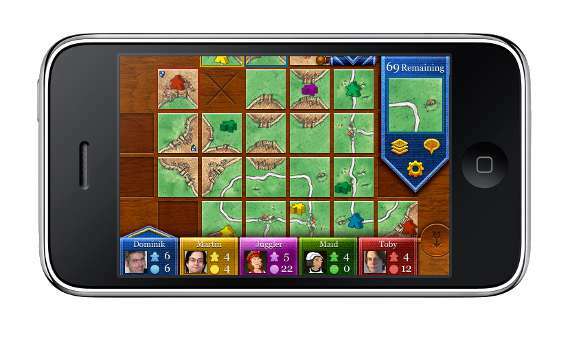 As with any strategy game you’re focusing on your turn while also trying to screw over your opponents. What’s really exciting is that you never know who’s going to win until the very end of the game. I’m not sure my description has convinced you that this game is fun, but I promise give it a chance and you’ll be hooked. What I also enjoy about the iPhone version is that you can get through a game very quickly and the computer does all the calculations. Plus once you get the hang of the scoring / strategy it’s really enjoyable for me to crush Cyclops…but maybe that’s just my over competitive nature.